Our hills are alive with the sounds of upgrades. Since breaking ground this spring construction has been full steam ahead to prepare our new lifts for the upcoming season. It won’t be long before flakes fly and the lifts start turning, but in the meantime you can fuel your stoke with an inside peak at the latest construction for this winter. 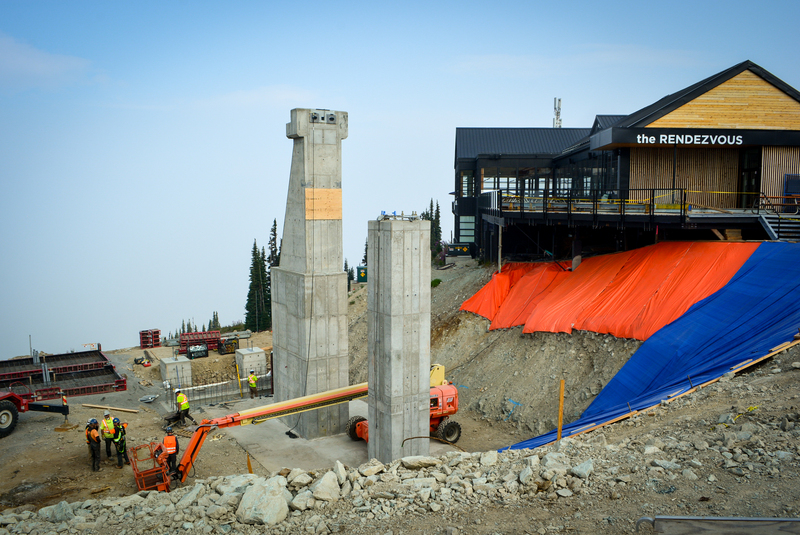 Early summer and spring was spent on demolition and preparation, and we’re now deep into the construction phase of lift updates. 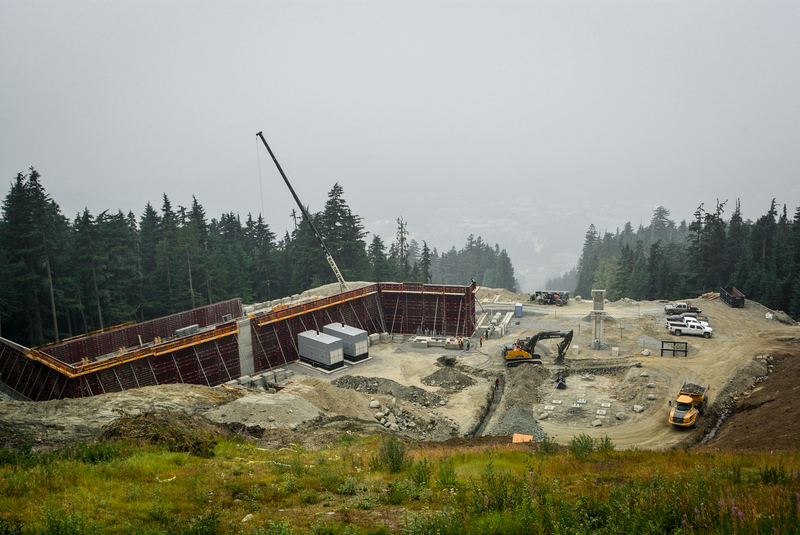 Recently there has been substantial progress on the top station of the new Blackcomb Gondola. To support the top station, a deep excavation was done into the hill to root the foundations into solid bedrock. 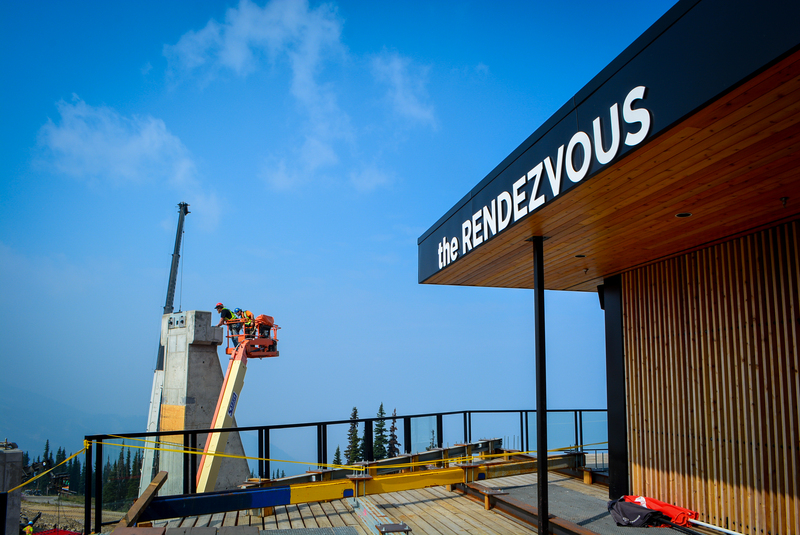 Once complete offload of the gondola will be at the same elevation as the Rendezvous deck. Like a concrete iceberg, this hole will be filled in with just a small portion of the concrete visible in the final product. Located just below the previous top of the Wizard chair, the new mid-station site has also seen a huge transformation in the last month. The flat area has been expanded to make room for the new station and gondola storage barn. The foundations have been poured for the new towers, and the barn is beginning to take shape. 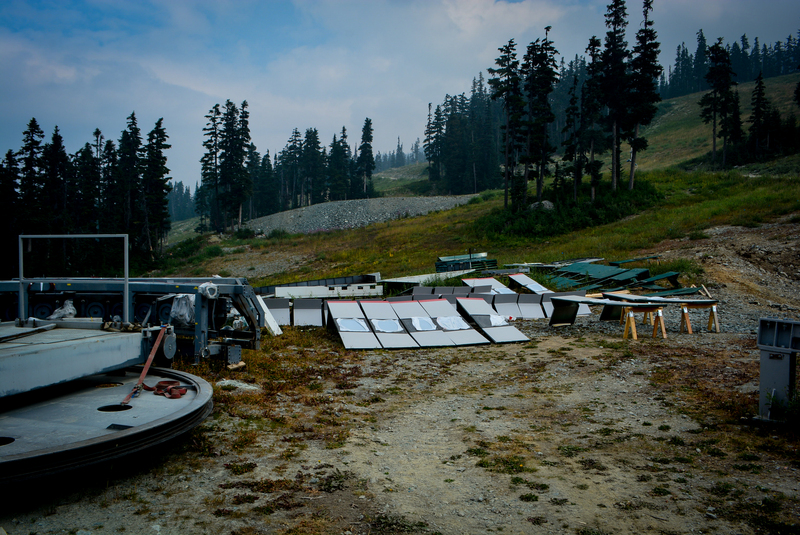 In the Upper Village, the bottom station of the new Blackcomb Gondola is in the final stages of construction. 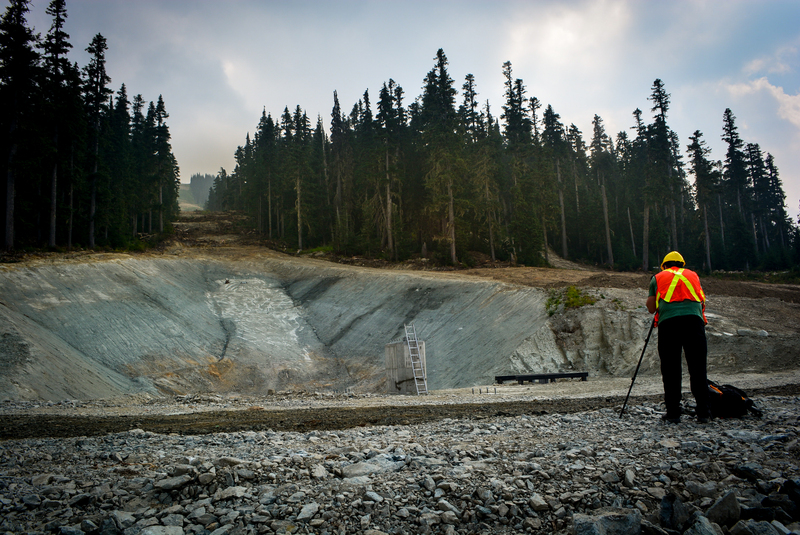 There is still some finishing to be done before opening day, but you can imagine what it will look like when you line up for fresh lines on Blackcomb opening day. Don’t take our word for it, you can come and see for yourself during the famous Turkey Sale. Comfort – 184 CWA cabins. Each carrying 10 passengers. Also on Blackcomb, Catskinner chair will be a whole new experience in the 2018.19 season. The location of the bottom station has been moved downhill to the skiers left with a whole new base to the lift. 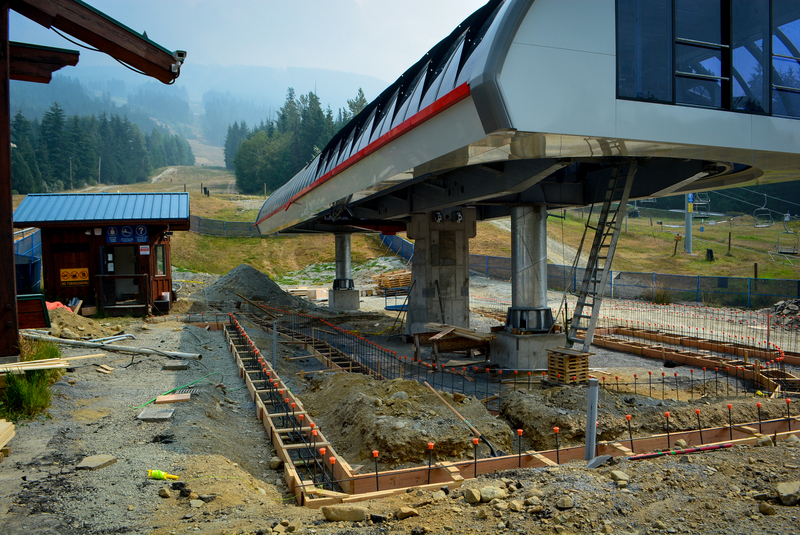 To date the liftline has been cut, tower foundations poured, base area reshaped, and the old Emerald Chair is waiting disassembled nearby to be installed. Keep your eyes on the skies, the new towers will be flown into place in the coming weeks. 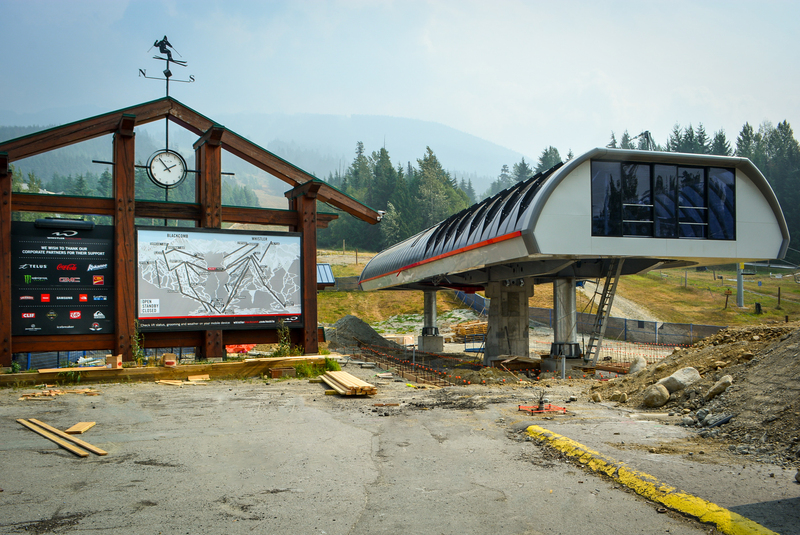 Work will also continue on the lift stations. 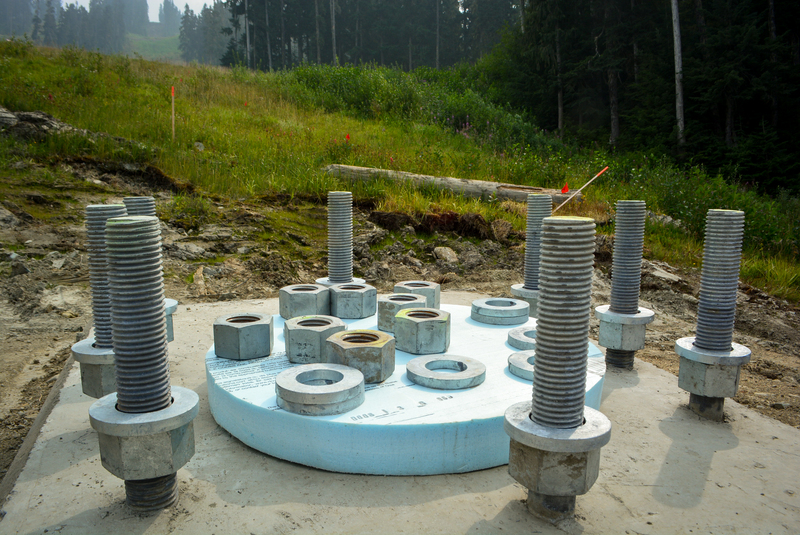 Like the gondola base on Blackcomb, the stations will go up quickly now that the foundations are in place. It won’t be long before it’s time to wax your gear and start training for next season. Do you have your pass for next season? Book early to lock in the best rates.